For digital marketers, tracking the source of your leads and customers is vital to discovering your most effective, most efficient lead channels. This is where UTM parameters come in. With UTM codes, you can segment your online traffic and report back to your leadership team or clients with hard data on the return on investment you’re getting for your marketing spend. There’s no better way to accelerate growth and prove your worth month after month. By the end of this post, you’ll be able to start using UTMs in your marketing campaigns to zoom in on what’s working in your marketing and what’s not. So, let’s jump in! UTM stands for Urchin Tracking Module. 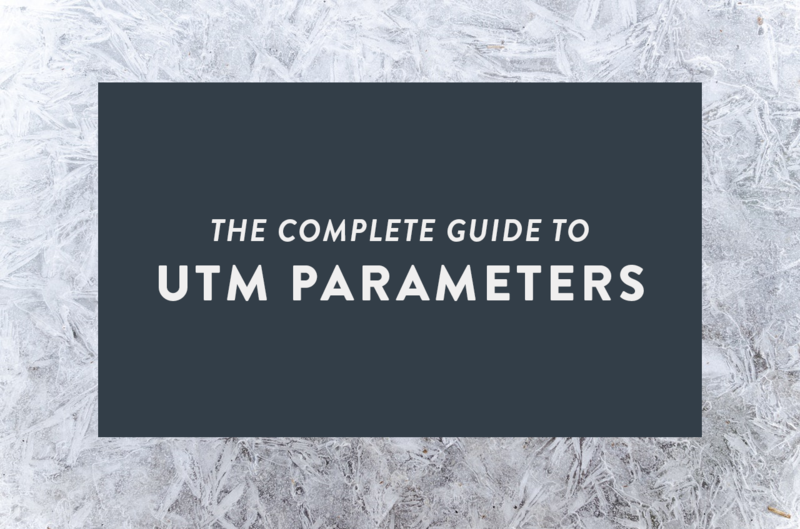 A UTM is a piece of code within a URL that tells Google Analytics where a site visitor came from, online or offline. Here’s an example of a UTM in action. Imagine you’ve created a fantastic landing page for your product, and now you want to drive traffic to this landing page from several different places: a brochure you’re handing out at events, a flyer you’ll be putting up at college campuses, and a Facebook ad campaign. So you place unique “vanity URLs” within each of these items – the brochure, the flyer, and the ad campaign – for your customer to follow. Each URL redirects to the same place, your landing page or website, so all of the leads from your campaign are seeing the same awesome content. From there, you can take that information and determine which elements of your campaign are working, where people are coming from, which links they’re clicking, and why they’re showing up to learn more. Enter the URL of the landing page or destination page for your marketing campaign. If possible, use the HTTPS version to avoid users seeing that pesky “Not Secure” warning in their browsers. Enter your campaign source. This is the only required field. 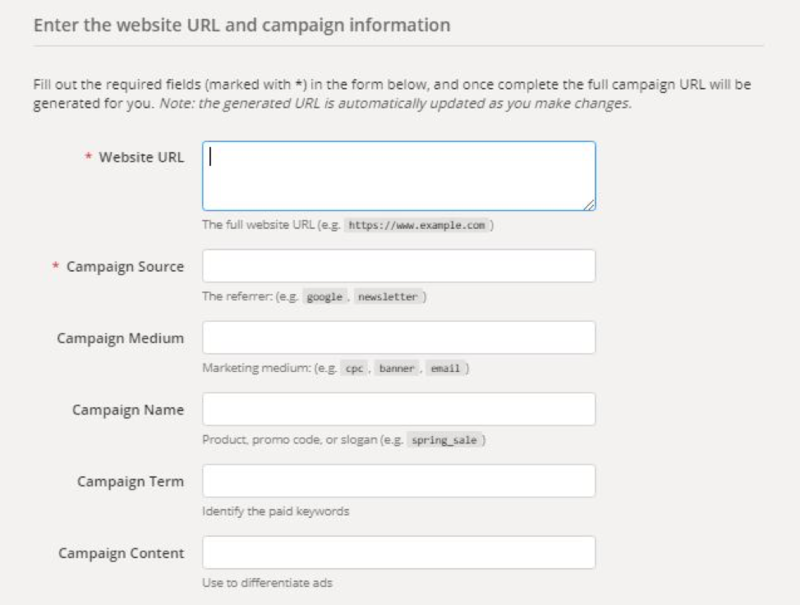 If applicable, enter the medium, name, content, and search term (if you’re doing a PPC campaign). Google will generate a URL containing your UTM code, which you can now copy and convert into a shortlink using your own favorite tool — or have Google convert into a shortlink right there within the builder. Note that you can also generate UTMs manually, without using the builder tool. When you name each of your UTMs, the only symbols you can use are the plus sign (“+”) and the period. You can use letters and numbers, but spaces aren’t allowed. Use it for: This is the main UTM you’ll need, which identifies the referrer that sent a user to your site. This could be Facebook, Google, another website, and even offline referrers like flyers, one-pagers, and brochures. Use it for: Identifying the campaign associated with this landing page. This is useful when you’re A/B testing different offers and want to see which is the most compelling. Use it for: This one is for PPC ads, which are based on specific search terms. Use it for: Whenever you want to run an A/B test, or whenever the referring ad or asset contains multiple links and you want to know which one the user clicked. One last note: UTMs are visible in your customers’ browsers, so keep that in mind when you’re creating them. Now that you know what a UTM is keep your eyes peeled! Observe how other companies are using theirs to classify their marketing content and their prospects. Add these powerful lines of code to your own marketing, and you can finally demonstrate the ROI you’ve promised your stakeholders.